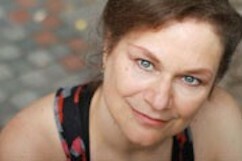 Anita Hollander has performed throughout Europe & America, at Carnegie Hall, Playwrights Horizons, London’s West End and NY Shakespeare Festival. A Helen Hayes Award nominee, she originated the title role of John Belluso’s Gretty Good Time at the Kennedy Center. For TBTB, Anita starred in Kate Moira Ryan’s Bass For Picasso Off-Broadway, and in John Belluso’s A Nervous Smile in Zagreb, Croatia, as well as appearing in Some Of Our Parts and several readings and workshops. Her own solo musical Still Standing won the Audience Award at United Solo Festival Off-Broadway, and was presented at The White House. Other stage work: Ragtime (Emma Goldman), Fiddler on the Roof (Golde), Brighton Beach Memoirs (Blanche) and CATS (Grizabella), which Broadway World deemed “a heart-wrenching performance that needs to be experienced.” TV shows: Law & Order, OZ, The Sopranos, All My Children and BBC’s From The Edge. Recent movies: Handsome Harry & Musical Chairs. Theatre Week Magazine Best Director Award for The Goodbye Girl. SAG-AFTRA National Board member & National Co-Chair of SAG-AFTRA Performers With Disabilities.